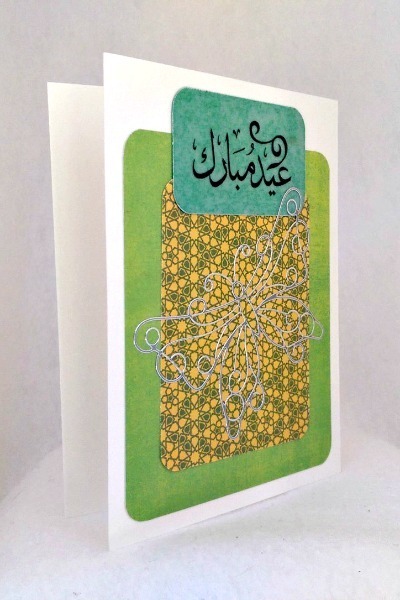 Let your loved one know you are thinking of them this Eid by sending them this one of a kind handmade Eid Mubarak butterfly card. 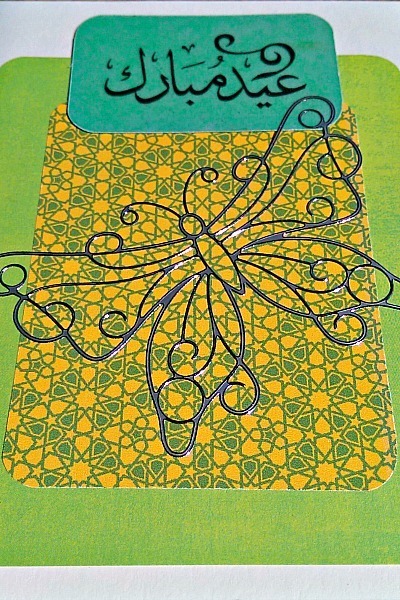 The vellum silver butterfly has been placed on a green and yellow Arabesque background which has been matted on a green background. 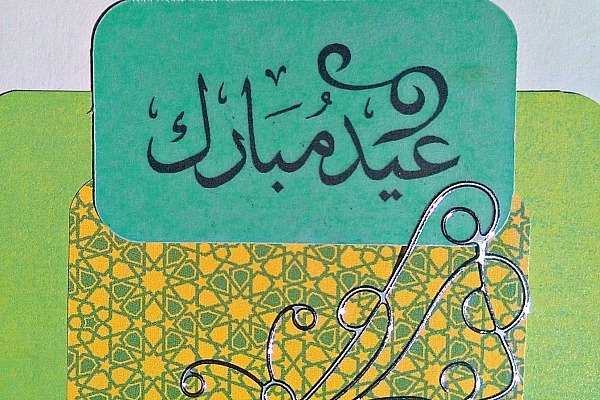 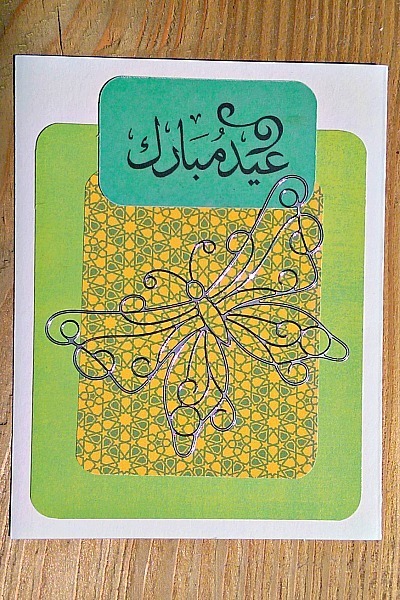 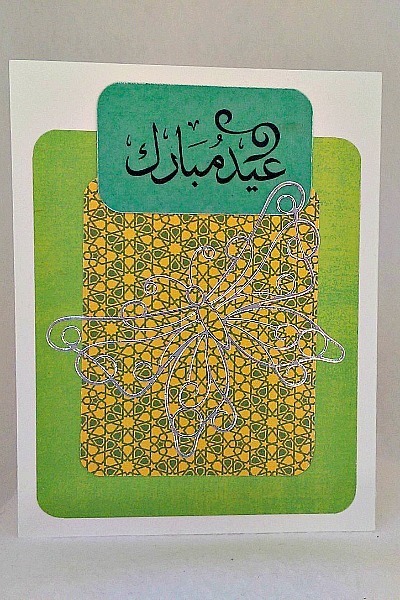 The words Eid Mubarak, which mean Blessed Eid, have been printed on vellum and added to a bright, fun green cardstock.